Karen Budd-Falen, a Wyoming-based property rights attorney and member of the Trump administration's transition team at the Interior Department, is in the running to take the helm of the Bureau of Land Management, according to sources in both the conservation movement and ranching industry. A White House spokeswoman declined to confirm that President Trump has decided on a nominee for the post. Sources familiar with the selection said it would be unlikely to be made official until after Trump's nominee for deputy secretary of the Interior, David Bernhardt, is confirmed. In the meantime, Utah state Rep. Mike Noel (R), who heavily promoted his own interest in the BLM post after the November elections, praised the potential selection of Budd-Falen. Karen Budd-Falen. Budd-Falen Law Offices, L.L.C. "If it's Karen, she'd do an outstanding job," Noel told E&E News. "She's a champion for our issues." Noel acknowledged that he had actively sought the post, including a one-on-one meeting with Interior Secretary Ryan Zinke during his recent visit to the Beehive State, and said he would still like to serve the Trump administration in some capacity. "I'm still interested in doing what I can for the president or for the secretary in any way I can help," he said. "But it's not about me, it's about getting a job done, and Karen Budd-Falen is certainly well-qualified." A Wyoming native, Budd-Falen grew up as the fifth generation on her family ranch in Big Piney. She received her undergraduate and law degrees from the University of Wyoming before going on to spend three years in the Interior Department during the Reagan administration. Budd-Falen did not return a request for comment this week. In an interview with The Aspen Times in 2007, Budd-Falen acknowledged she was at times impatient with her work at Interior, where she served as a special assistant to the assistant secretary for land and minerals management, and later at the Mountain States Legal Foundation. Those postings prompted her decision to open her own law firm with her husband, Frank Falen. "I like making decisions and then acting on it," Budd-Falen told the newspaper. "I'm really cause-oriented, I really believe in ranchers and farmers and what they do. That's the reason I went to law school. I don't love the law. To me, the law is the way I'm helping the people I love." Recent press releases on the Budd-Falen Law Offices website tout the Trump administration's review of dozens of national monuments, criticize the now-defunct Obama-era BLM Planning 2.0 rule and cheer Budd-Falen's appointment to the transition team. 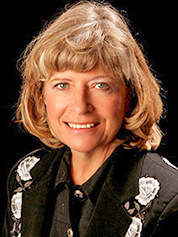 Budd-Falen is well-known in the West for her work representing ranchers and is seen by some observers as a hero of the Sagebrush Rebellion, which has pushed for major changes to federal land control since the 1970s. Mountain States Legal Foundation President William Perry Pendley said Budd-Falen's background, as well as her efforts representing ranchers, rural residents and local governments across the West, make her a strong candidate for the post. "She brings an understanding of how these policies affect people on the ground," he told E&E News. "It's not just some 30,000-mile-high attitude that we're going to do this or we're going to do that, and it will be good. She understands how these foolish policies affect people who work for a living and, frankly, the tiny communities that depend on them." In particular, Pendley pointed to Budd-Falen's work on a case representing rancher Harvey Frank Robbins, who once owned a property in Hot Springs County, Wyo. At the time Robbins bought the ranch in 1994, BLM had failed to record an easement on a road across the property it had struck with the previous owner. The road accessed a publicly owned area known as the Upper Rock Creek region. 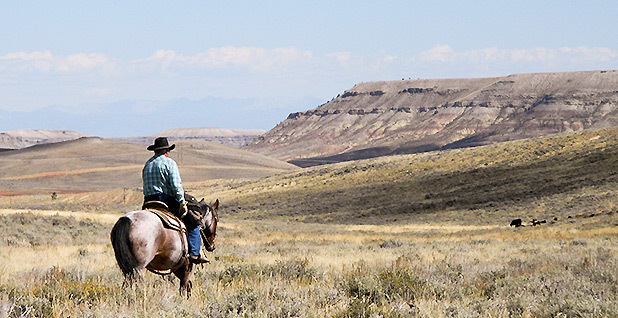 Robbins refused BLM's efforts to discuss a new right of way and faced what he saw as backlash for that decision in the form of citations for violations of grazing regulations, interference with cattle drives and even criminal charges after an altercation with a BLM employee, although a jury quickly declared Robbins not guilty in that case (Greenwire, Oct. 11, 2016). But Budd-Falen stepped in with a new way to push back against BLM, by suing the employees as individuals under an anti-racketeering law normally used against organized crime syndicates, the Racketeer Influenced and Corrupt Organizations Act. At the time, Budd-Falen argued that the Fifth Amendment protects landowners against retaliation for excluding the government from their private property (Greenwire, Dec. 6, 2006). "You have lots of cases on First Amendment rights saying the federal government cannot retaliate against you for using your First Amendment rights, but there's never been a case that the federal government can't retaliate for using your Fifth Amendment rights," she told E&E News in late 2006. But while Budd-Falen claimed victory in the 10th U.S. Circuit Court of Appeals, the Supreme Court ultimately rejected her argument in 2007. "She did a very good job on that," Pendley said. "Regrettably, not all of the justices agreed with her." More recently, Budd-Falen gained attention for her work to stop the Western Watersheds Project by filing a case in Wyoming state court alleging the environmentalists trespassed on private land to collect water samples (Greenwire, Nov. 18, 2014). The case was settled in 2016 after two years of wrangling in court, with both sides ultimately claiming a victory. Under the settlement, Western Watersheds agreed to abstain from driving on private roads where federal rights of way are in doubt (Greenwire, Aug. 24, 2016). "We are very happy," Budd-Falen told the Casper Star-Tribune in September 2016. "The settlement gives the landowners even more than they could have gotten if Western Watersheds Project had allowed the case to go forward." But Western Watersheds then-interim Executive Director Greta Anderson told E&E News at the time that the agreement did not represent new restrictions. "Settling this case without paying a single dollar of damages and getting it off our dockets means we can go back to doing the important work of documenting the environmental abuses of cattle and sheep operations in Wyoming and around the West," Anderson said. Budd-Falen is also known for her work with Catron County, N.M., which passed a series of ordinances in the early 1990s that sought to supersede federal authority on public lands, including ordering the arrest of federal agents who violated the civil or property rights of residents. Newspaper reports at the time state that Budd-Falen helped to draft the ordinances, and in 1994 the Chicago Tribune reported she was "assisting" Catron and other counties. "It's a real reaction to the federal government coming in without giving any notice or right to participate at all to county governments," Budd-Falen told the newspaper. She added: "The county and its citizens feel like they are good stewards of the environment, that they are as concerned about the environment as any environmental group in Santa Fe or New York City or anywhere else. If they didn't take care of the land, they wouldn't have anything to pass on to their children." Western Watersheds Montana Director and Public Policy Consultant Josh Osher warned that while Budd-Falen has not advocated for the outright disposal of the federal estate, her past work indicates "a bend toward private property over public lands." "She's really associated herself with the extreme fringe of a lot of the public lands movement," said Osher, who also raised concerns about her opposition to Endangered Species Act protections. He pointed to Budd-Falen's more recent appearances before groups like the Constitutional Sheriffs and Peace Officers Association. In 2011, she appeared at an event called "Sheriffs Stand Tall for the Constitution" along with sheriffs from Oregon and California. During the event, Budd-Falen encouraged attendees to challenge the federal government by asking what laws agencies are relying on for their decisions. "We can do anything that the law does not prohibit. And I gotta tell you, I think in Washington, they kinda got that swapped," she said. "And I think we have to start enforcing that. We have to start asking, what law gives you the right to stop my use? What law gives you the right to come into my county and all of a sudden start closing roads?" She later added: "You should be proud of what you do and proud of who you are, and you do not need a law to be able to manage your homes and manage your lives." During her remarks, Budd-Falen also hit on the Equal Access to Justice Act, of which she has been a vocal critic. That law permits plaintiffs to collect attorney's fees from the government in successful lawsuits against the government. The Wyoming attorney regularly touts figures on payments to environmental groups under the law, arguing that organizations are profiting off the fees. "She's an attorney, she knows exactly how this works," Osher said. "This is a law that allows the public and its representatives to make sure that the federal government follows the law." In the meantime, it remains to be seen whether Budd-Falen would fall in line with Zinke's vows to retain the federal estate, something he has often emphasized since his confirmation earlier this year. But the Wilderness Society's senior counsel, Nada Culver, warned that merely retaining federal lands falls short of BLM's multiple-use mission. "The concern would be that for all that the secretary has spoken about keeping public lands in public hands, he's also taken a lot of steps that would transfer control of public lands to a narrow set of interests: by, for instance, focusing public lands on oil and gas, or coal, to the exclusion of conservation and public enjoyment," Culver said. If nominated, Budd-Falen would need to represent not only the farming and ranching interests she does now, Culver said, but recreational users and others. "Taking on that responsibility and taking on that perspective ... conservation and wilderness and recreational and wildlife are really important aspects of managing public lands," she said. If tapped as the nominee and confirmed, Budd-Falen would replace BLM acting Director Mike Nedd. Nedd is the second acting director to serve following the departure of BLM Director Neil Kornze (E&E Daily, March 16). Wyoming Gov. Matt Mead (R) praised Budd-Falen generally, although he declined to speculate on the nomination before it is finalized. "That said, the governor believes Wyoming has a number of highly qualified people who, if appointed to key positions in the Department of the Interior or other federal agencies, would be a tremendous asset to the administration, the nation and Wyoming. Karen Budd-Falen is one of those," Mead spokesman David Bush told E&E News.